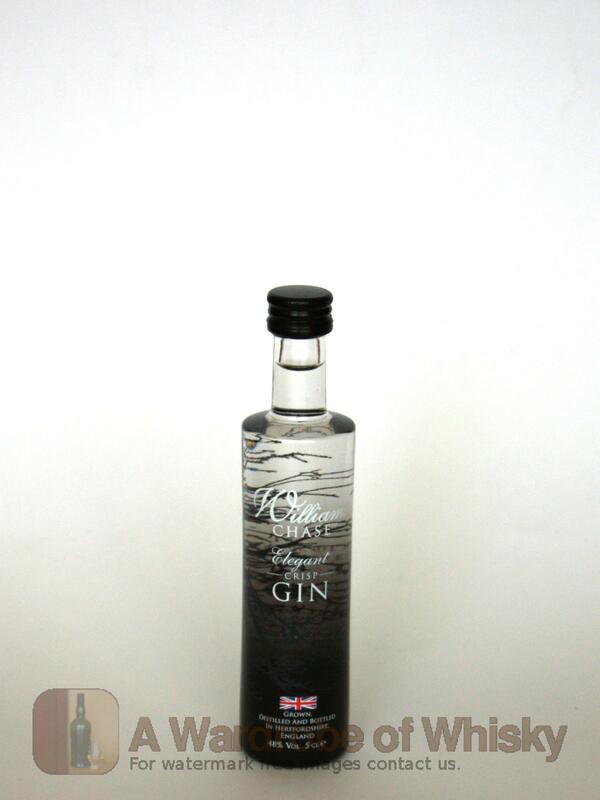 A miniature bottle of high-strength (48%) gin from Hereford's own Chase distillery, the multitaskers famous for their world-beating vodka and also responsible for some delightful fruit liqueurs. Their gin is distilled from apples grown in their own organic orchards. Please note that this is a 5cl miniature. Nose (79): more than average. juniper, citrus, honey, floral, malt. Taste (80): powerful. juniper, herbs, citrus, sweet, pepper. Finish (79): average. juniper, citrus. These bottles have been chosen over others because their nose, taste and finish are more similar to Chase Elegant Crisp Gin Miniature than the rest. Go to Whisky-o-matic page to fine tuning other settings.